Now a days every entrepreneur who is going to start up a new business in any field like IT, Marketing, Educational sector etc…, he wants a website for his firm in such an attractive manner that persons should have to be attract towards the organization. 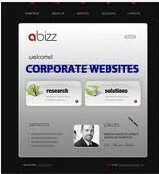 Our company provides such corporate websites for individual entrepreneur and a group of company as well. SNM technologies arrived in the market to provide you the services of web designing, web hosting & software development. Company is established in Noida, Uttar Pradesh, had great deals in the IT sectors as well in the marketing sectors. Our expertise and experience of having accomplished projects of small and large magnitude of user base enables us to look at every new challenge as an opportunity to create another success story.